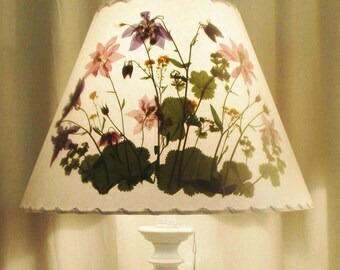 Please identify the state, city, or geographic feature you want on your topographic map lampshade. 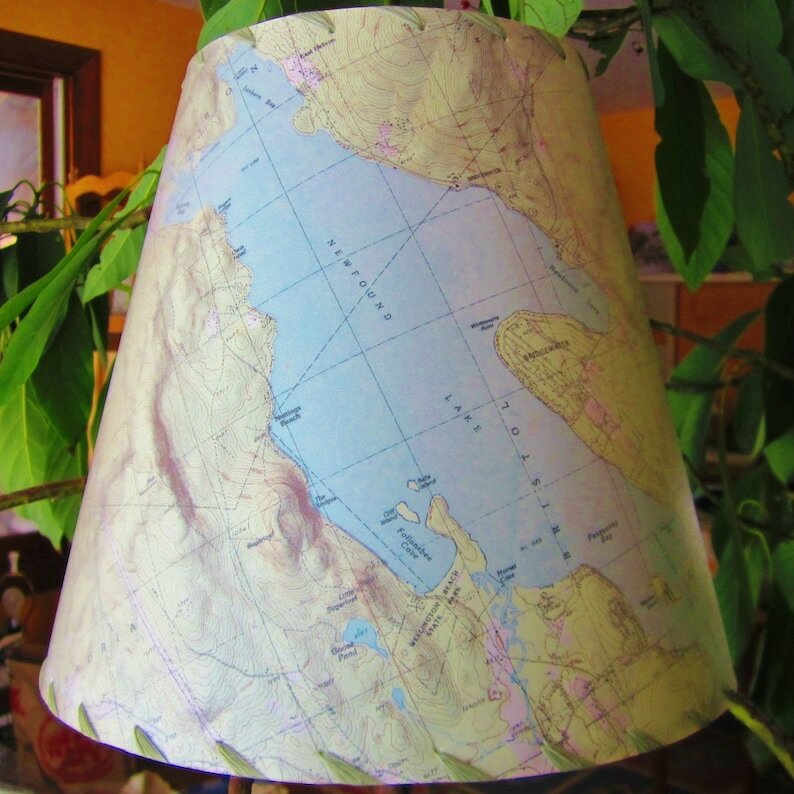 Mapshades is a trademarked name for custom lampshades made with maps of your favorite places. 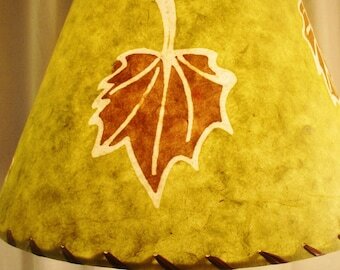 This listing is for a medium to large lampshade made with a US or Canadian topographic map. You will tell me exactly what place you want on your shade and I will email you an image of the map I will use for your approval. Please enter the name of the place you want on your shade in the comments box. 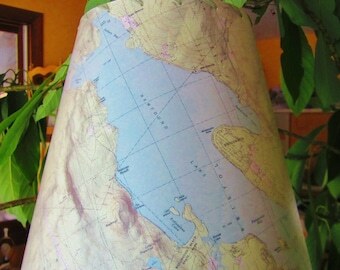 The maps are custom printed for your lampshade with your location centered on the front. Custom MapShade orders can take up to 3 weeks from the time you approve the map for your shade. 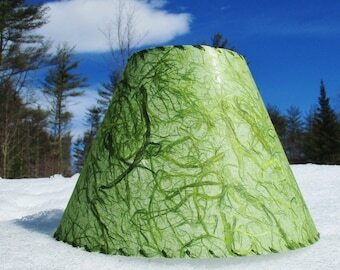 The photos are of lampshades I have made for other clients and yours will be different but the USGS topographic map colors are the same. This listing is for medium to large shades with washer tops; choose your size from the variations list. Shades are measured top diameter, bottom diameter and height, in that order. I have hundreds of other size patterns, so if the one you need is not here, you can message me with the size you want. Please read my policies on ordering lamp shades. Custom shades can not be returned or refunded so please be sure the size and hardware you choose is correct.